October | 2011 | seedLinG! A Fun and WORTHWHILE Fundraiser! SAVE THE DATE!!! BUY YOUR TICKETS NOW!!! THURSDAY, NOVEMBER 4th at Naveen’s Cuisine!!! Please come! Raffle prizes include $100 to the Turf Room, a very chic photo package from Lori Allen Photo (you want to win this, trust me), a hair cut from Roots salon, Gorilla Tango Theatre tickets, family membership to Menomonee Club…and these are just the ones I personally rounded up! There’s even MORE! Food, great people, wine, and a cause dear to my heart…the betterment of Lucy Flower Park (where I lead the garden club for children) and Maplewood Park! 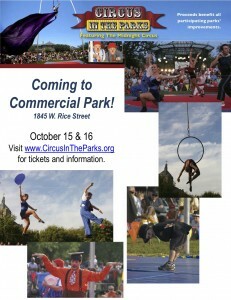 October 15 and 16…please support this fun and family-friendly event!